Allegheny monkeyflower (Mimulus ringens var. ringens) is a plant of wet places. It is common in meadows, swamps, fens, and marshes, and is also found on streambanks, riverbanks, and in roadside ditches. Between June and August it produces solitary purplish-blue flowers from the axils of the upper leaves. The genus name Mimulus, from the Greek mimos meaning “imitator”, and the common name “monkeyflower”, refer to red markings on the corolla of some of the yellow species which are said to resemble a monkey’s face. 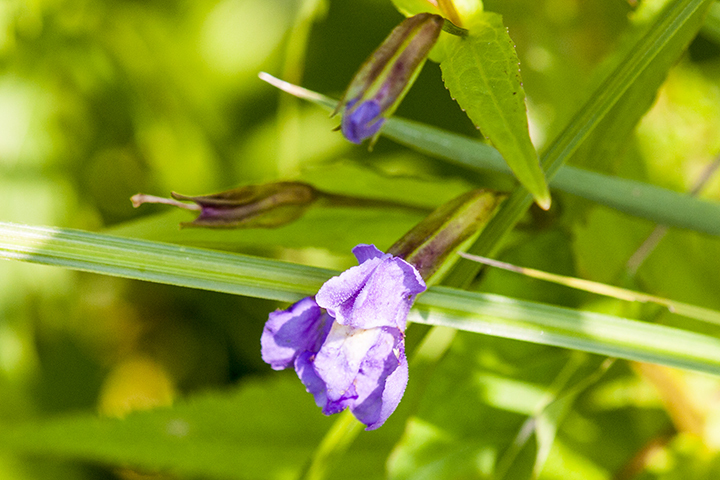 This entry was posted in Plants and tagged Allegheny monkeyflower, Mimulus ringens var. ringens on January 9, 2016 by John Valo.